A STORM is brewing at the Anglican Church-run St Anne’s Goto Mission in Wedza after schoool authorities demanded rentals from the teachers and threatened to evict them if they fail to pay. 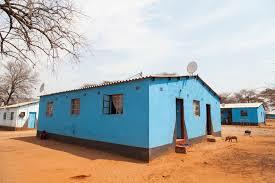 It is reported that the school is demanding rentals backdated to January this year. According to one of the letters addressed to the teachers seen by NewsDay and signed by one Venerable Reverend JN Kuwani, dated November 30, the mission school is demanding $200 for rent arrears from each teacher, within 21 days. “You owe St Annes Mission Goto US$200 being rent arrears for the period January 2018 to October 2018. Despite several requests you have failed, neglected and or refused to pay the aforementioned amount which is now due. We thus demand, as we hereby do, payment of US$200 within 21 days from the date of receiving this letter. Failure of which we shall institute legal proceeding with costs to recover the same without further notice to you, which we believe is not necessary given the implications and consequences to your professional standing,” the letter read. Some of the teachers have since approached the Progressive Teachers’ Union of Zimbabwe (PTUZ) for protection. PTUZ Mashonaland East provincial co-ordinator Tapiwa Chengeta said the school was making the matter worse by demanding the rentals in US dollars. “The provision of quality service begins with the provision of an enabling working environment. It begins with giving teachers decent accommodation. In most schools there are housing committees and they discuss housing issues. It becomes more problematic when the so-called man of God starts to demand rentals in US dollars from teachers who are being paid in local currency,” Chengeta said. Contacted for comment, Kuwani accused the teachers of politicising the matter.